Regardless of whether you are just starting to pick up exercise in 2019, or whether you’ve been doing it for a few years, you probably need to upgrade your footwear. Cross training shoes provide us all with a never-ending selection, and it is unsurprising that many of us find it so difficult to come to a final decision on which ones to buy. Fortunately, in 2019, there are so many great ones to choose from. They are excellent because they can help to improve performance, increase stability, and, more importantly, keep you feeling comfortable and happy during your workouts. Happy feet = a happy mind. The best cross training shoes for men is a pair that does all of the above. The NOBULL cross trainer is a perfect choice for absolutely any type of exercise. We intend for this article to be a great place for you to come and learn more about cross training shoes and perhaps to find yourself a new pair. We will begin by discussing some of the things that you should consider when buying cross training shoes, but then we will swiftly move on to the product reviews of our 7 favorites. After that, we will discuss some of the differences between cross training shoes and other shoes, as well as some tips on how to pick out your perfect pair of trainers. Quality is one of the most important things to consider when buying any shoe, let alone a shoe you will be wearing for intense exercise most days of the week. We know from experience that it is always best to invest in a good quality shoe – put it this way: for the money you’d spend on multiple pairs of low-quality shoes, you’d be better off spending the money initially on a pair of high-quality shoes that stand the test of time (and exercise!). Things to look out for when purchasing cross training shoes would be the quality of material – think breathable fabric, memory foam, midsole support. The best cross training shoes will have both, making them more durable and much better in the long run (for your foot health, performance, and your wallet! ), which brings us onto our next thing to think about: versatility. Unlike most other training routines, cross training mixes several different forms of exercise, which is definitely something you should have in mind when it comes to choosing your shoes. Whilst most other athletes can stick to one specific type of shoe, cross trainers need shoes that have enough give and flexibility for exercises like running and climbing, but also the stability and sturdiness required for compound movements. Ultimately, it’s essential that your shoe type does not limit your performance, so finding the perfect shoe that allows you to perform your best regardless of the exercise is important. Whilst style might not be the top priority for you when it comes to choosing the perfect cross training shoe, you shouldn’t discount it. After all, if you’re spending the money to invest in a great pair of shoes, you want to actually like them and feel confident wearing them; you won’t feel any good walking around the gym in a pair of shoes you think look ugly. There are a few things to consider when it comes to style. Firstly, is it likely that you’ll also be using your cross-training shoes as an everyday shoe? If so, you’ll most likely want to opt for a classic color, like black or grey, to ensure it goes with most clothes, so you get your use out of them. Secondly, consider what style of shoe you feel most comfortable in. Some cross-training shoes are stiffer than others, which is great if you have weaker ankles or need more stability, but not so great if you prefer flexible, breathable material. And, finally, consider the shape of your foot. 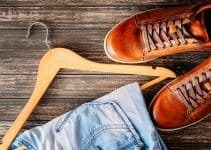 Yes, it sounds weird, but whether you have a wide or skinny foot can make a massive difference when it comes to both the fit and appearance of your shoes. 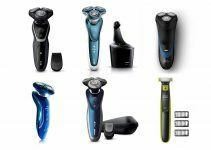 It may also affect your sizing for different brands and styles of shoe, so bare that in mind. We all know the saying about buying something just because it has a brand name attached to it, but it is very important to consider brand when it comes to specialized things, such as training shoes. 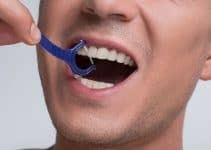 Big brands are big for a reason: because they’ve been doing something right for a very long time and have built up a great reputation as a result. Yes, you will pay more money for a branded cross training shoe, but that’s because there have been tons of man hours pumped into the science behind the shoe, the fit of the shoe, its style, its unique selling point…. You name it, they’ve thought of it. That’s why, when it comes to buying shoes for training, it is worth heading to the well-known brands – Nike, Adidas, Reebok, Puma – and they all feature in this article, because they produce great quality shoes that are worth the investment. As with most things, the price of a cross training shoe is often reflective of the quality. When it comes to exercise that is both regular and intense, you don’t want to be cutting corners and buying cheap shoes that won’t offer you the same support and performance quality as a more expensive pair. Whilst it may be scary to fork out money up front, it’s worth paying more for a high-quality shoe that will actually last and not have you shopping within months for another cheap pair. The price of a shoe will tell you a lot about its quality and features; whilst you may find the odd shoe at a steal price, most cheaper shoes are made of less durable material and may even lead to conditions such as fallen arches or plantar fasciitis. Paying more money to avoid these problems alone is worth it, as they wreak havoc on any athlete who is serious about their training programme. Trust us, a great pair of training shoes is one of the best investments you can make! Imagine trying to run, climb, and squat with sweaty feet covered in blisters…and maybe throw in some athlete’s foot. Not a nice picture, right? Comfort is essential when it comes to any shoe, especially training shoes. The best training shoes will be the ones you could live in – the ones you could wear day in, day out, with no problems – and when you’re spending hours a day at the gym or on your feet, you want a shoe that gives you no problems. Again, comfort is totally relative. If you have fallen arches, you’ll most likely be more comfortable in a shoe with added sole support or memory foam features than a shoe with a hard-flat sole. If there’s nothing you hate more than having sweaty feet, you’ll want to opt for a light, breathable fabric for good ventilation – something that is particularly important if you’re prone to infections like athlete’s foot. Furthermore, if you are looking for the best, all-round training shoes that you can wear both inside and outside the gym, you’ll want to take into consideration things like material type and sizing. Getting the right size is extremely important – once you wear a pair of shoes, you can’t return them, so pay special attention when purchasing to the fit of the shoe and take the advice of the manufacturer. There’s nothing worse than falling victim to a blister half an hour into a workout! Whilst we have touched on this throughout other paragraphs, it is a really important consideration, but we’ll bring the info together and sum it up nicely here. The features you require from your training shoes will entirely depend upon you– upon whether you require extra support for conditions such as plantar fasciitis or fallen arches, whether you are prone to infection, or whether you need the extra ankle support that can be provided by a high top training shoe. Bear these things in mind when you’re shopping for your perfect training shoes, as they can be the make or break factor! 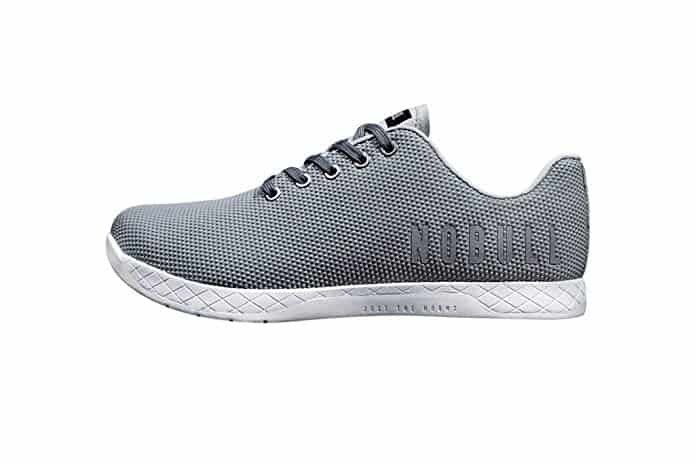 NOBULL Men’s Training Shoes are an excellent all-round shoe for cross training. Made with lightweight, breathable, and flexible fabric across the top of the shoe, they promise to move with you in your training. The upper fabric of the trainer features a seamless one-piece construction of Super Fabric, an extremely durable, breathable, and abrasion-resistant material – essential for training regimes that can get messy! The trainer also features a mesh base layer with high carbon lateral and medial guards built into the side walls, creating a 360° shield to encase and protect the foot, making them stable but also one of the most comfortable cross training shoes. 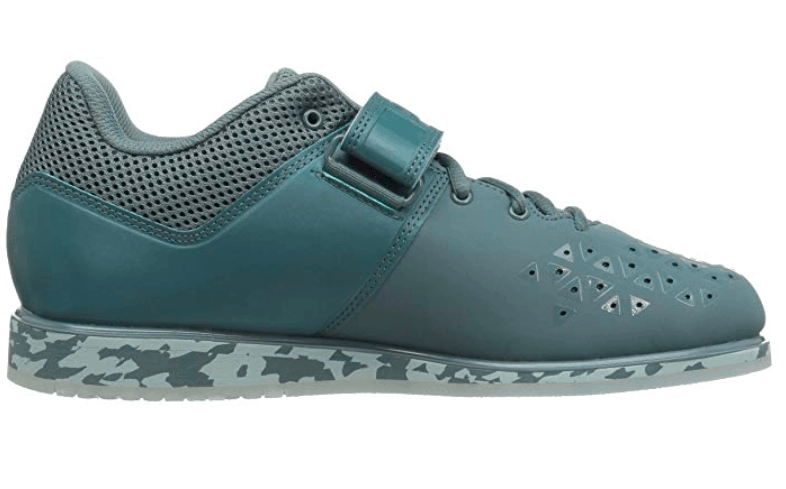 The design of the shoe makes it extremely versatile, with an outsole lug pattern designed for multi-environment usage, allowing for an easy transition between inside and outside the gym. The perfect blend of flexibility, traction, and support makes it perfect for all types of exercise and ensures that you perform to the best of your training ability. The shoes come in a variety of colors: plain and simple (back, grey, green) and more vibrant, fun colors for those of you who like to be loud. If you’re a cross trainer whose training routine is split pretty equally between weight-based movements and cardio, these shoes are probably the best all-around training shoes. It wasn’t going to be long before we mentioned an Adidas shoe, and there’s a good reason why. Adidas designs and creates some of the best training shoes on the market, and the Men’s Powerlift 3.1 is no exception. 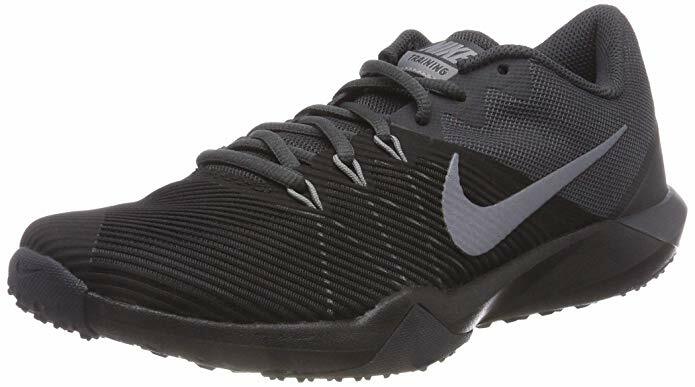 One of the best cross training shoes for men, they feature a lightweight synthetic leather upper for ankle support and durability, perfect for those who prefer a high-top training shoe. The solidity of the upper fabric also ensures great foot protection whilst remaining breathable. The shoe features an air mesh collar, tongue, and lining for maximum breathability, whilst not compromising on stability and sturdiness. Their open forefoot structure and flexible toe add to their comfort and make them suitable for cardio-based movements. 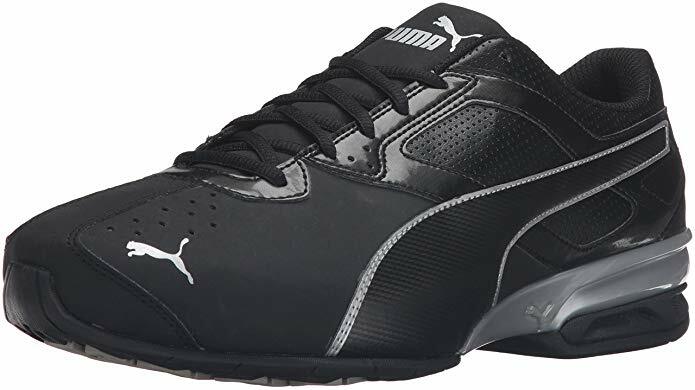 However, they are engineered with more weight lifting in mind, with a high-density, die-cut midsole wedge for light stability, and a lace closure with wider strap for tight fit. If you’re a cross trainer who tends to focus mostly on weight-lifting movements, these training shoes are the perfect pair. In terms of style, these shoes aren’t designed to be worn outside of the gym; however, it doesn’t stop them from being stylish, with a range of colors and patterns to choose from. So, if you want to go for a crazy color, there’s nothing to stop you, because you won’t be walking down the street wearing them. If you’re a cross trainer who prefers to weightlift, these training shoes offer you a great amount of support and stability whilst protecting your feet. Nike is arguably the King of all gym wear, and there’s a good reason why. Nike has long been considered one of the best brands when it comes to training gear; with years of experience and tons of research behind them, they produce some of the best products on the market. The Retaliation Training shoe is one of them. Featuring a rubber sole for increased flexibility and impact-absorption, these training shoes pair with a mesh upper to offer lightweight breathability, perfect for intense training sessions. They also have a sandwich mesh tongue for a comfortable fit, and (listen up all you cross training climbers) strategically placed rubber on the outsole for excellent multi-surface grip. Nike often uses a rubber toe tip to provide durability and grip during training exercises, such as planks and push-ups, which is indeed featured on the Retaliation Training shoe, providing a great unique selling point – after all, there’s nothing worse than your feet slipping in those last few seconds of a plank. 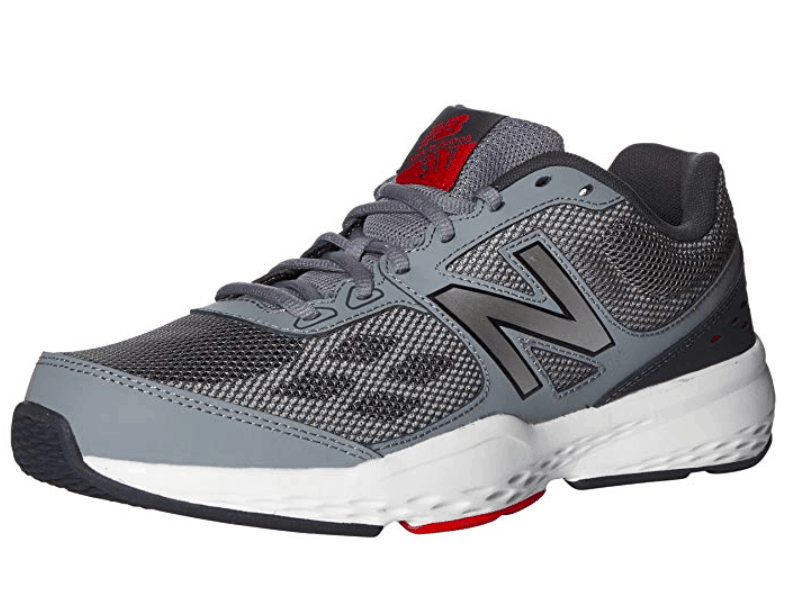 Like the New Balance MX517v1, the Retaliation Trainer is more conservative in its color options. Whilst there are a couple of colors available, they are not colors that usually prove most popular (such as green and blue). Whilst you might not make a bold statement color-wise, these shoes are versatile and would make the perfect inside-and-outside the gym shoe. What they lack in crazy colors, they certainly make up for in durability and reliability! Choosing a pair of cross training shoes from Nike can be an excellent choice, because you are paying for guaranteed excellent quality. Not only that, but these trainers are built specifically for a variety of exercises, and you can’t go wrong with buying them. Puma is another brand that has been around for years and never fails to impress us. Whilst technically branded a ‘running’ shoe, the material featured in this model makes it perfect for cross trainers, since it is stiffer than the material found on the average running shoe. It’s made from 100% synthetic leather, making it cruelty free but extremely sturdy and therefore ideal for weight lifting. It features a T-toe construction and lace closure for a snug fit – again, perfect for weightlifting and for ensuring a great fit when performing intense exercise. Its midfoot saddle ensures optimum fit and comfort, and the breathable EcoOrthoLite material and cushioned midsole make it extremely comfortable. The EVA heel pod offers cushioning and shock absorption, so the shoes’ durability is outstanding, and it’ll certainly perform well for explosive movements, helping protect knee joints from damage. A unique selling point of these particular cross training shoes is the style. There are very few contenders that measure up to the Tazon 6 FM Running shoe. Although they come in black and white options only, each option has a ‘feature’ color, such as red or blue, that compliments the simplicity and sleekness of the shoe. This ensures they not only match any gym outfit but also outfits worn outside of the gym. The comfort they provide paired with their stylish look makes them the perfect “wide” cross training shoe. Buying a running shoe can actually be one of the best ways to get a pair of cross training shoes. They are typically designed to take a heavy impact and to protect your joints. Both of those things are absolutely necessary when cross training. Reebok is another household name that, much like New Balance, offers a more retro style for all those who believe fashion was at its peak in the 90s. 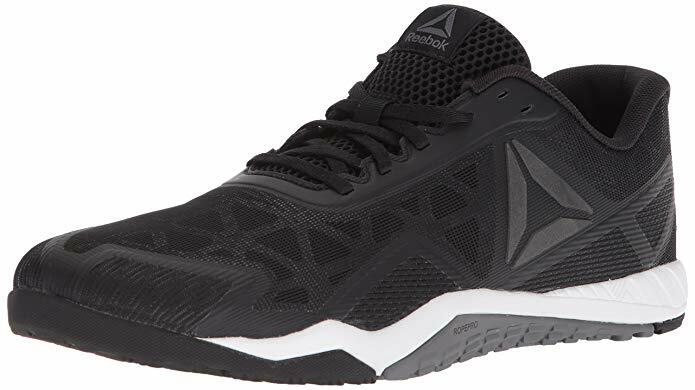 If you’re looking for a great cross training shoe at a slightly lower price point, consider the TR 2.0 cross trainer shoe from Reebok. With a rubber sole for increased flexibility and shock-absorption, this shoe features a lightweight mesh upper stretched across an anatomical shape, designed to fit your foot perfectly. The multi-surface rubber outsole is breathable and lightweight and offers great protection for your feet, whether you are weightlifting or endurance training. The toe box on the TR 2.0 is wide fitting, which is great if you have wider feet or prefer shoes that do not fit so tightly. This also adds to their breathability – a great feature for anyone who tends to fall victim to the dreaded athlete’s foot. The base of the shoe offers a stable platform for high rep lifting, whilst the mesh upper makes these shoes extremely bendy – a versatile combination that’s hard to find in a lower-priced training shoe. Like New Balance shoes, these Reebok cross training shoes look more retro than the average gym shoe. Whilst they come mostly in black and white, they have bright color features on the sole, making them stylish and easy to wear outside the gym, too. Picking up a new retro style cross training shoe will allow you to look super stylish at the gym whilst maintaining all of the function benefits that they were designed for. 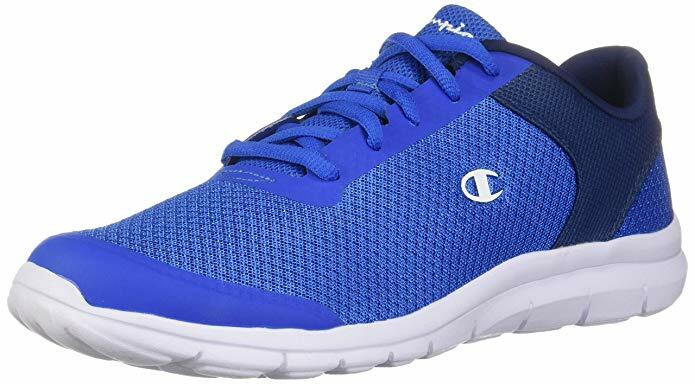 The lowest price point of the cross-training shoes we consider the best belongs to the Gusto Cross Trainer shoe from Champion, perfect for those who are perhaps just getting into cross training and don’t want to fork out a load of money for something they’re not sure they’ll commit to. With a memory foam insole, these shoes are comfortable and provide shock-absorbing features, perfect for those who need extra support for their joints. The padded collar and soft lining are great for endurance training, keeping your feet comfortable and blister-free. The fabric is a lightweight, breathable mesh perfect for intense training sessions. Like the Nike Retaliation training shoe, they feature a rubber toe tip to provide durability and grip during training exercises, such as planks and push-ups, and they are just as stylish as the Nikes – available in a range of colors, meaning you can opt for a daring, fun look or a look you can take to the streets. One thing to bear in mind, however, is the fit of these shoes. Whilst the soft fabric has some give, they do run slightly small in terms of width; if you’ve got a wider foot, it may be worth looking elsewhere! Champion is a world-renowned brand that has made a sudden yet impressive comeback over the last few years. These shoes combine style, comfort, and purpose to give you an excellent all-around cross training shoe. New Balance is a company that has only come to the forefront of discussion over the past few years. Since then, they have grown in popularity – and for good reason. If you’re looking for a cross training shoe that ticks all the boxes and offers a more retro, 90s style look, then these are the perfect shoes for you. Featuring a rubber sole for increased flexibility and impact-absorption, the New Balance MX517v1 shoe is perfect for intense exercise, particularly if you are into cardio. The memory foam soles are removable, versatile, and can be changed to suit different types of exercise. The comfort these shoes provide is also something to bear in mind if you struggle with foot or knee problems, as you’ll want a softer, more cushioned sole. The memory foam ensures they are one of the most comfortable cross training shoes on the market, ideal for endurance and long-distance training, but they can also be replaced for great density insoles designed for weight-lifting movements. Their versatility means they are the perfect shoes for both inside and outside the gym. These shoes in particular tend to range in shade rather than color – color options are pretty much limited to white, grey, black, and blue, although some do have brightly colored features around the logo. Whilst some people prefer color in their training shoes, it ensures that these shoes transition well from the gym to everyday life. If you’re looking for a great all-round cross training shoe that can be worn both inside and outside of the gym, the New Balance MX517v1 are a great option. And we’re not just talking about the length of your foot – the width is really important, too. One of the worst things, when you’re trying to train, is a foot that feels like it’s been crammed into a trainer; your toes bunch up, you can’t seem to get your foot in a good position, and your feet are fighting for release against the fabric. Naturally, we all have different sized feet, and there are shoes out there suited specifically to those of us with skinnier feet and wider feet. It’s definitely something you should know about your own, and it can save you a lot of problems when it comes to finding the right pair of cross training shoes for you. Knowing the size of your foot lengthwise can also help you to avoid all sorts of problems. It’s a good idea to know what size you tend to be in certain brands; since their shoes are made within the same guidelines, they generally fit the same. If you don’t know your shoe size and have been guessing for the past few years, do yourself a favor and get your feet measured. It could make all the difference in your training! 2. Do you require extra support? Since you’ll be wearing your training shoes most days – and for extended periods of time – it’s really important that they provide your feet with the necessary support, or you could end up making an existing condition worse (or developing a condition you never had). Some common foot ailments include fallen arches and plantar fasciitis, which can wreak havoc on a training regime, if not treated properly. Whilst there are tons of remedies for conditions like these, a good place to start is your training shoe. It can make or break your problem. If you’ve got fallen arches, opt for a curved insole with more support; those with plantar fasciitis want a training shoe that is cushioned and soft, maximizing shock absorption and comfort. If you think you might have a condition but aren’t sure, get it checked out before you buy your training shoes – it could make all the difference! Literally! We understand that not everyone can afford an expensive pair of training shoes, but if you can afford to make the investment, it is worth it. Most people end up spending a similar amount over the same period of time if they are opting for cheap training shoes, because they are far less durable and of lesser quality. Paying for quality is not just about extending the shelf life of your training shoes but also of your health. You want to ensure the training shoes you purchase do everything to help your body stay in great shape – shock absorption, for example, can help keep joints healthy. When you’re paying the price for your health and wellbeing, it’s definitely worth it. For those of you who can’t afford to pay more for a pair of training shoes, don’t despair. We’ve included some great training shoes at lower price points – they do exist, you just have to be mindful when purchasing them. Be sure to check reviews and do your research before you commit to buying anything! When buying your cross-training shoes, you should consider what training you find yourself doing most often. If it’s weightlifting, you’ll want to opt for a sturdier shoe with a higher-density fabric and build. If it’s cardio-movements you do more often, a shoe with a light, breathable, and flexible fabric will allow you to get the most out of your training regime. It may also help to consider whether your cross-training shoes will be multi-environment shoes. If you’ll be wearing them outside the gym, it might be sensible to go for a shoe that is designed more for cardio in a color that matches the colors you tend to wear daily. Why is it so important to have a shoe designed for cross-training specifically? The answer is quite simple really: you need the best of both worlds. You need the flexibility and breathability of a running shoe combined with the sturdiness of a powerlifting shoe. What exactly makes them different? Running shoes tend to be extremely lightweight, made solely of breathable, flexible materials, such as rubber and mesh. They often feature shock-absorbing elements to help cushion impact, helping preserve knee and hip joints. They don’t offer the same type of stability as a powerlifting shoe, but rather offer support for the foot as a whole, focusing importantly on the natural shape of the foot. Powerlifting shoes are essentially the opposite of running shoes. Whilst they often have mesh features for breathability, they are not concerned with being lightweight in the same way running shoes are. They feature high-density materials with the main focus on stability during compound movements, ensuring the foot is in a prime position to maintain balance and correct form. Specifically, powerlifting shoes include high top training shoes, as well as general high-heeled training shoes. Glove shoes certainly aren’t for everyone, and you’ve probably seen someone sporting them in the gym and thought ‘what the hell are those?’ Well, glove shoes are designed more for weight-based and cardio movements and are meant to mimic the foot’s natural stance and movement more successfully than a powerlifting shoe. They feature thin soles and breathable material, which is great for those who like to feel the terrain beneath their feet but not so great for those who crave the stability and support of a traditional training shoe. There are millions of different cross training shoes out there, so you might be wondering how on earth we whittled it down to just 7. It was no easy feat, but, after taking into consideration the factors we talked about at the beginning of the article – and different cross training shoes’ reviews – we came up with our top 7 list. Featuring different price points, these 7 cross training shoes cover a variety of essential features you should consider when shopping around for your ideal shoe. Whilst we’d love to try every training shoe on for ourselves, the extensive customer reviews and subsequent ratings for each of these shoes prove that they really are great for a variety of customers looking for different features when it comes to their training shoes. So, if you’re looking to change up your training wardrobe, or maybe you’re still searching for that perfect pair of cross training shoes, take a look at the shoes we recommend and let us know if there’s any you think deserves a spot! Buying a pair of cross training shoes can be a difficult task. Not specializing in any one form of exercise means that you need a pair of trainers that can do it all. Fortunately, you are able to choose from a wide range of shoes that are up to this task. In this article, we have selected our 7 best cross training shoes for men, and we strongly believe that they are suitable for all forms of exercise. We are more than interested in hearing from you regarding this article. Are there any shoes that you feel that we missed out on? Maybe you’ve got a pair of one of those we included. Let us know either way; we’d love to have a chat!